Rwanda’s newest search for natural talent among young Rwandan dubbed ‘ArtRwanda Ubuhanzi’ is getting to another level. 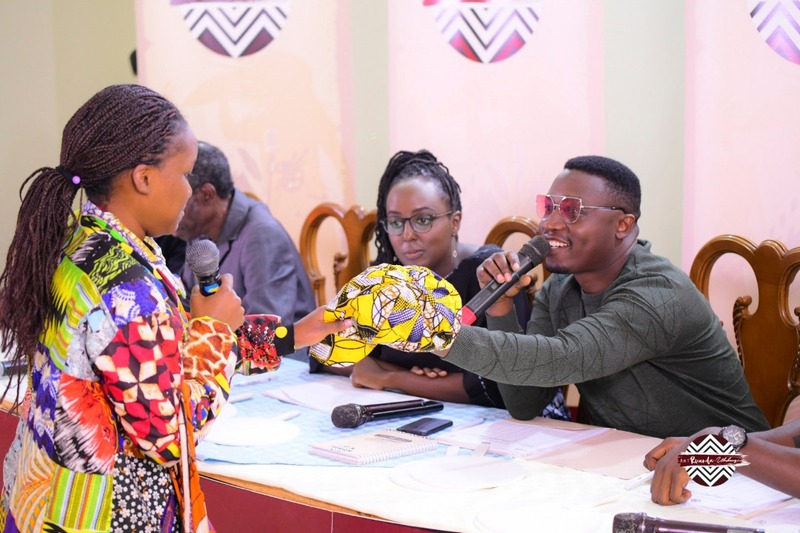 The search, unveiled on August 24 by Imbuto Foundation – a philanthropy organization championed by First Lady Jeannette Kagame, has since been searching for the finest talents across the country. The latest two-day auditions were held in Huye (Southern Province) and Rusizi district (Western Province) over the weekend. This weekend audition, though, will probably be written down in history of the programme. Sports and Culture Minister, Julienne Uwacu, surprised participants when she exposed her hidden singing talents. It all started when the host, Comedian Arthur Nkusi, enticed the youthful Minister into showing her hidden talent that few Rwandans, possibly only her schoolmates and family know – singing. Uwacu, dressed in a Japanese print silk collarless shirt, freely released a melodically tuned out acapella of a Kinyarwanda song. The acapella has since dominated social media platforms. “Thank you Art-Rwanda Ubuhanzi for giving me the platform, it was a very good surprise! I invite all young people to join me in nurturing our talents.”Uwacu said on twitter shortly after her debut performance. More than 700 young Rwandans participated at the two audition sites. While at Mater Boni Concilii in Huye district, comedian Nkusi, could have thought that he pulled off the surprise of the day but among the young talent stood a young man who was ready prepared to make the biggest shock for Nkusi and his Theatre performing father, John Kennedy Mazimpaka- who was also part of the team of judges. “No!” the young man visibly pondered inside as he unveiled a painted mugshot of Nkusi in a blue suit, hands crossed and a blue plastic watch. The crowd and judges looked and asked one question among many questions. Does the images actually show the person in question and what actually motivated the painter? “He tried though (thumbs up)” Nkusi stated on twitter after several debates on social media and eventual pass for the young man behind the paint. Huye was left in smiles with performance but in Rusizi, the rarest talent show in drama, fashion and arts also came with tears of sorrows as some over confident participants walked away in tears on knowing they couldn’t convince judges- one of them, a fashion model. The shock that came with hearing such a name, left judges with no choice but to give a definite Pass card to the smiley young man, who simply opened his mouth and left an infectious smile on many. Venuste Bagabo’s talent spoke for itself! He didn’t even stand longer than a minute before judges gave him a firm pass for showing a painting of a classy dressed to kill lady kneeling curved inside a relaxed elephant. Asked on his painting of a woman with an elephant, he said that: “It represented a world where opposites could coexist in harmony”. “ArtRwanda Ubuhanzi” is a nationwide talent audition in gifted youths aged 18-35 years in six areas of plastic arts, music and dance, fashion, acting and drama, cinematography and photography, and literature. The auditions ended in style with 325 registered contestants in Rusizi and 415 in Huye. 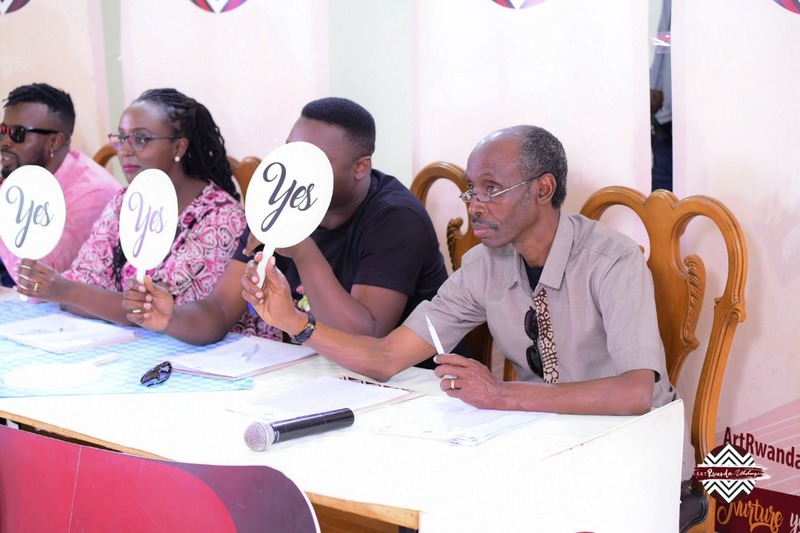 Previous auditions have been held in Western province – Rubavu, Northern Province – Musanze, Eastern province – Kayonza and 120 contestants will be selected from all sites representing each of the six categories. The next auditions are slated from September 29-30 in Gasabo, Kicukiro and Nyarugenge districts in the capital Kigali.